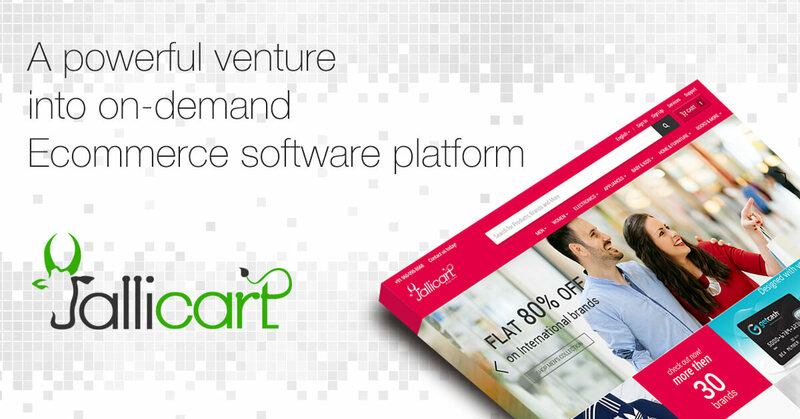 We’re proud to introduce our new ecommerce venture: Jallicart! Since 2008, NDOT has been a company helping businesses with unparalleled applications. And Uniecommerce is one of its most successful endeavours built to perk up the selling possibilities in the ecommerce space. It has embarked on a new initiative called Jallicart for increased participation in the ecommerce sector and to support a whole lot of ecommerce lovers. Uniecommerce’s transformation to Jallicart is a decisive moment that has the potential to become a landmark in the global marketplace. The ecommerce journey originated initially with three applications that uphold three significant domains – ecommerce, auction and restaurant. Since the beginning, it has gone that extra mile to create a world of intuitive experiences in online selling. Uniecommerce really took off with its signature applications that mark innovation, creativity and flexibility. Now, a powerful move to the cloud-based subscription model! Jallicart reshapes the concepts of online selling with some much awaited features. From the very first stages to the way through to the end product, Jallicart is crafted with attention to detail for those who are passionate about ecommerce. From the enthusiastic responses we received for Uniecommerce, Jallicart is born. It is developed to transform businesses and help them thrive by providing the absolute product experiences to people across the globe. Driven by the desire to reform the digital space, Jallicart is launched to bring in engaging experiences and exceptional outcomes. If mobile applications and websites optimised for mobile devices are the trends today, Jallicart can revolutionise your business to become the trendsetter in the ecommerce arena with its incomparable ecommerce and auction software. This entry was posted in Ecommerce Software, SaaS Ecommerce Software and tagged Ecommerce SaaS, Ecommerce software, SaaS Ecommerce. Bookmark the permalink.